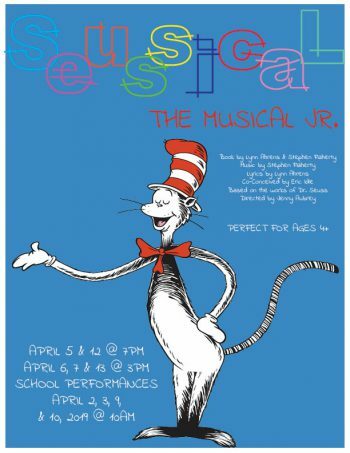 Follow Horton the Elephant on his exciting journey of Who discovery in a speck of dust as Seussical the Musical Jr. brings your favorite Dr. Seuss characters to the stage. The Cat in the Hat narrates as Horton must protect his speck of dust at all costs while also guarding Marzie La Bird’s egg. Audiences bounce from the Jungle of Nool to the Circus McGurkus in this whimsical tale of friendship, loyalty, and family. Perfect for families and children 4+.